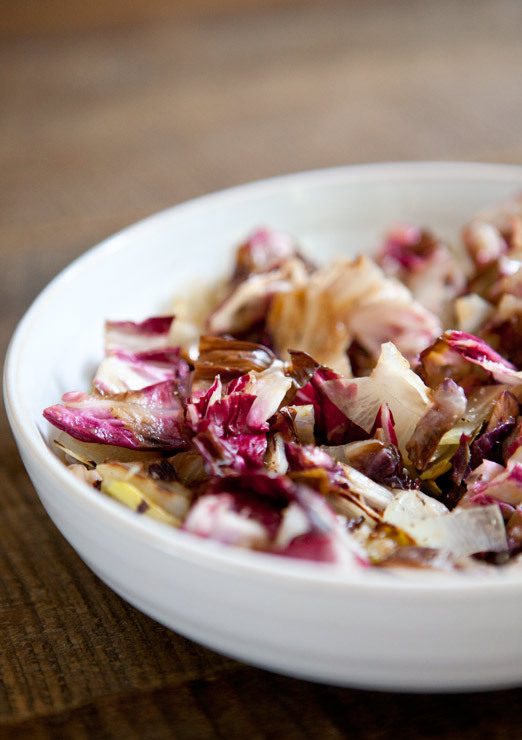 i’ve been waiting a long time to fall in love with radicchio. 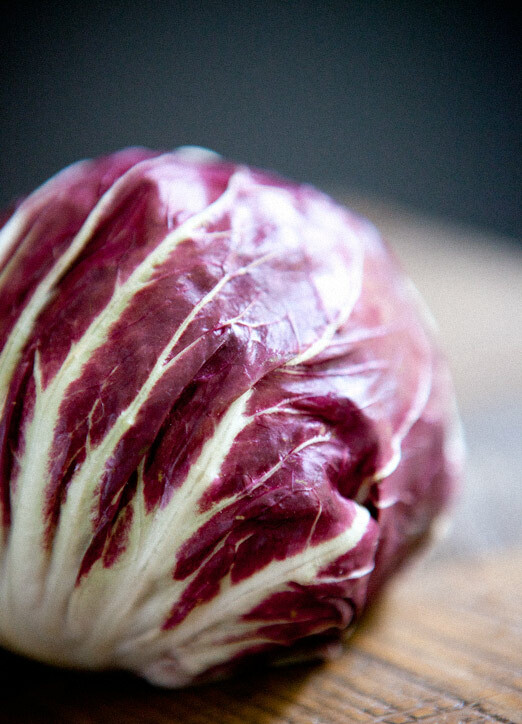 i love how it looks but the bitterness of raw radicchio is not to my liking and i always end up picking it out of salad mixes. 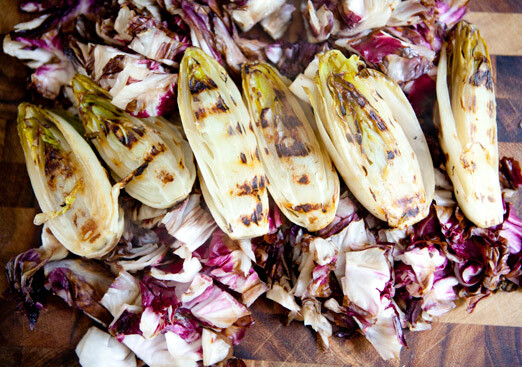 but grilled, with a sweet dijon dressing and some crunchy almonds… that changes everything. this is so simple to make, beautiful to serve and delicious to eat. i’m into it. *this is a salad that is better off as an accompaniment to a meal than the star of the show, in my opinion. recipe after the jump. 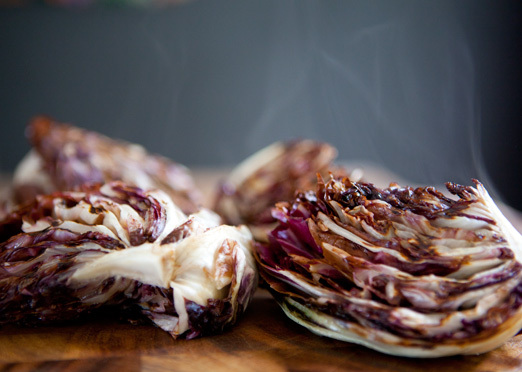 once the radicchio and endives are fully cooked, remove from grill and chop into salad bite sized pieces. toss with dressing (as much or as little as you prefer) and almonds. season (liberally) with sea salt and fresh cracked black pepper. enjoy!